Visiting school or daycare groups will benefit from a rich learning experience that can supplement classroom curricula and state learning standards. Depending on your group’s age range and time of visit, we offer two scheduling options. K-5 school groups can elect to participate in a paid guided program through one of our Explorer School Programs. Groups that do not fall within this age range or cannot attend during our available program times can schedule a self-guided visit of the outdoor gardens and/or Bolz Conservatory. See the options below to determine what fits your group’s needs. The Botany Explorer School Program is full at this time. Please contact aschwoerer@cityofmadison.com to be added to our wait list or to schedule a self-guided visit for your group. Join us for hands-on, inquiry-based field trips! 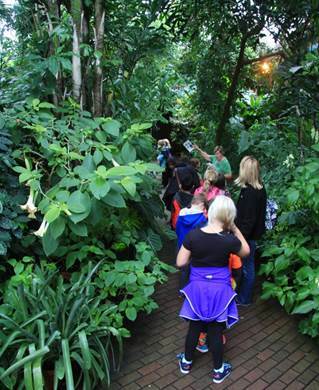 Olbrich Botanical Gardens invites you and your students to experience the extraordinary world of plants by participating in our Explorer School Programs. Join us as we introduce your students to plants through hands-on, inquiry-based activities that support the Wisconsin Model Academic Standards and the Madison Metropolitan School District Science Curricula Scope and Sequence. We offer three excellent programs designed to meet the academic needs of you and your students. Each program is 90 minutes and includes indoor learning stations and a tour of either the indoor tropical Bolz Conservatory or the outdoor gardens. Adult Chaperones: To determine how many adults are required to attend with your group, please refer to the chart below. Required adults are admitted for free, and additional adults will be admitted at the $2.50 student rate. As a note, adults include teachers, school staff, and chaperones. Chaperones play an important role in creating a positive and safe learning experience for the entire group. Please distribute a copy of How to be a Chaperone (PDF) to each chaperone before your field trip. 4 required adults are free. Additional adults will be admitted at the $2.50 student rate. 6 required adults are free. 8 required adults are free. *Adults include teachers, school staff, and chaperones. Registration is now open for the 2018-2019 academic year! Dates and times are limited so secure your spot early. Please contact our Education Registrar Aleeh Schwoerer at aschwoerer@cityofmadison.com or 608-245-3648 to register. Additional program information will be sent after your confirmed registration. Program times on the designated dates are 10:00-11:30 a.m. and 12:30-2:00 p.m. Nature Net offers bus funding reimbursement through the Nature Express program. You qualify for bus funding by participating in two different Explorer School Programs or by visiting two different Nature Net sites with your students. Find more info here! Please share and review these Etiquette Guidelines with your group and chaperones before visiting Olbrich Botanical Gardens. The Ecology Explorer School Program investigates the relationship between plants and animals. Students will discover what a habitat is, as well as what it provides plants and animals, through hands-on activities. Students will explore different habitats through a guided tour of our outdoor gardens and scavenger hunt in our indoor tropical conservatory. The Tropical Explorer School Program focuses on the unique features of the tropical rainforest. Students will explore characteristics of the tropical rainforest by comparing it to Wisconsinâ€™s deciduous forests. Students will engage with the distinctive plants and animals found in tropical rainforests through hands-on, guided learning stations and go on a guided tour through our indoor tropical conservatory. 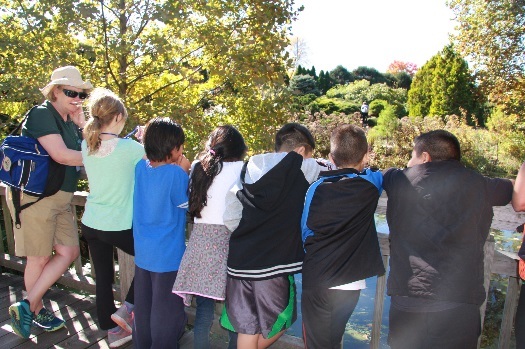 A self-guided scavenger hunt also allows students to have time to explore the tropical habitat on their own. The Botany Explorer School Program concentrates on plants and how they function. 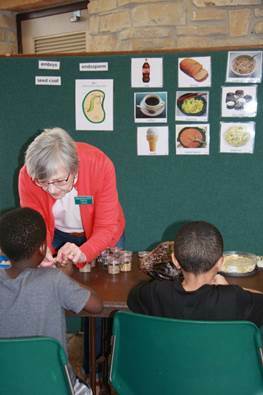 Students will discover the parts of a plant and explore various plant adaptations at hands-on, guided learning stations. Students will experience a guided plant part tour through the indoor tropical conservatory or outdoor gardens. Students will also have an opportunity to search for plants with unique plant part adaptations during a self-guided scavenger hunt. Self-guided visits are available daily during public hours and at regular admission rates for school, daycare, or youth groups (grades PreK-12). Standard fees, times, and passes may be suspended for special events. Groups with less than 10 students are not required to schedule a visit. Groups larger than 10 people are asked to schedule at least two weeks in advance. Visits scheduled less than two weeks advance are dependent upon availability. Art or photography groups of any size planning to draw, paint, or photograph as a group either in the outdoor gardens and/or indoor Bolz Conservatory must schedule with the Education Registrar two weeks in advance. Learn more about our photography policies to determine if your group will need a photo permit. Adult Chaperones: To determine how many adults are required to attend with your group, please refer to the chart below. Required adults are admitted for free, and additional adults will be charged standard admission fees. As a note, adults include teachers, school staff, and chaperones. Additional adults will be charged standard admission fees. 5 required adults are free. 7 required adults are free. 9 required adults are free. 10 required adults are free. At this time, buses will not be allowed to park in Olbrich's parking lot. Instead, please park buses a short distance away at the Olbrich Playfields, at the corner of Atwood Avenue and Walter Street. Exchange phone numbers with your bus driver(s), so you can contact them when you are ready to depart from Olbrich. Click here for a PDF of directions to the Olbrich Playfields parking lot. Please share and review these Etiquette Guidelines with your students and chaperones before visiting Olbrich Botanical Gardens. Your group determines they will no longer be visiting Olbrich Botanical Gardens. The time and/or day of your visit changes. The number of people in your group drastically changes. Your group decides to add the indoor Bolz Conservatory to your visit. You are running late (call 608-245-3648). We want to let you know some exciting news before you visit. Olbrich Botanical Gardens is growing with the addition of new classrooms (3 indoors and 1 outdoor) and new greenhouses. This means there is a fair amount of construction activity happening around the Visitor Center and in the parking lot. The construction does not impact access to any of the outdoor gardens. There is a construction fence installed around the construction zone within the outdoor gardens, as well as altered paths to follow, and signage to assist in navigating away from the construction zone. Bring ear plugs or coverings for members in your group who are sound sensitive. As you move further into the outdoor gardens, the construction sounds are not as prevalent. During this time, buses will not be allowed to park in Olbrich's parking lot. Instead, please park buses a short distance away at the Olbrich Playfields, at the corner of Atwood Avenue and Walter Street. Exchange phone numbers with your bus driver(s) so you can contact them when you are ready to depart from Olbrich. Click here for a PDF of directions to the Olbrich Playfields parking lot. Contact our Education Registrar to schedule an Explorer School Program or self-guided visit.